Mobile advertising has a higher purchase likelihood if it targets an audience in the hyper-contextual dimension of a crowded environment, as crowding makes the audience turning inwards to their mobile phones and more attentive and susceptible to ads. 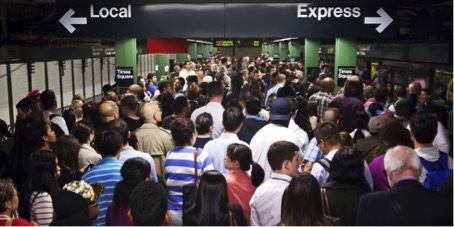 Consider times and locations related to physical crowdedness, for example trains during rush hour, use this information to send targeted mobile ads and thus make them more effective. A number of studies suggest that ad context can influence the audience's perception of an ad and therefore its effectiveness. This will not come as a surprise. Consumers are, for example, more likely to click on ads for stores which are physically close to them. 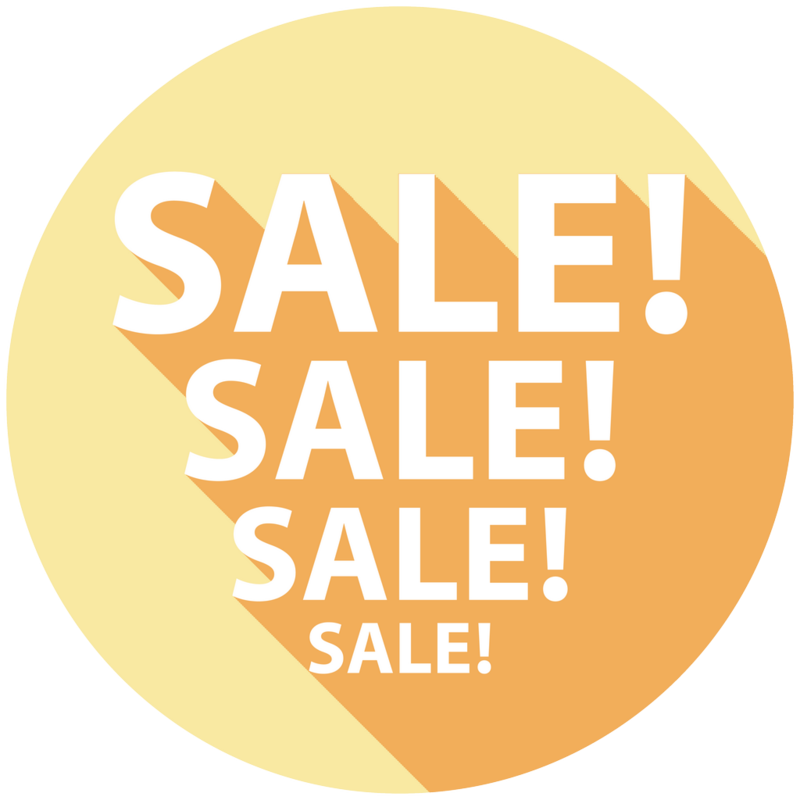 Additionally, mobile coupon redemption rates also increase as a consumer gets closer to a store. The concept of hyper-contextual targeting is taking advertisements to the next level. Hyper-contextual targeting allows advertisers and marketers to engage with environmental contexts to dynamically influence consumer behavior. Physical crowdedness is another example of a hyper-context, which can affect consumer response to advertisements. In their study, Andrews et al. 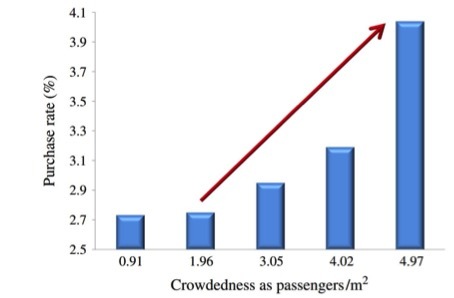 (2015) investigated the effect of physical crowdedness on mobile advertisement effectiveness in subway trains. They hypothesized that sending mobile ads to people in crowded trains would increase ad effectiveness. To be honest, from my own experience I would have expected the opposite effect, namely that in such an overwhelming situation a mobile ad would be an additional annoying distraction which would make people anxious. Also, consumer behavior research suggests that crowdedness reduces shopping times and induces avoidance behavior. So let’s see who is right. The researchers used field data from a major telecom provider to determine the degree of physical crowdedness. They randomly sent targeted mobile ads via SMS to consumers in more and less crowded subway trains and measured purchase rates. Subsequently, they also surveyed both purchasers and non-purchasers to gain insights into the mechanism motivating consumer behavior. The results, which are based on the behavior 14.972 mobile phone users, are astounding! Andrews et al. (2015) show that consumers in crowded subway trains are more than twice as likely to respond to a mobile ad by making a purchase than those in less crowded trains. As you can see in the graph above the more crowded a train was, the higher was the purchase rate. Yet the effect of physical crowdedness only really works effectively once people can no longer move around to preserve their personal space. Interesting! It stands to reason that this effect correlates with different weekdays and daytimes, as the general working hours of 8 to 5 employees significantly influences the usage of public transportation. However, the researchers isolated the effect of crowdedness by controlling across peak vs. non-peak hours and weekdays vs. weekends. How can these results be explained? To understand the reason behind this effect, we have to take a look at the behavioral constraint theory. This theory states that people use adaption strategies in crowded environments to reduce perceived behavioral restrictions. As a crowded subway train definitely can invade people’s physical space and restrict their behavior, they try to adapt to the situation and therefore turn inwards to focus less on the crowd around them and more on their mobile phones. Mobile ads are seen as a welcome relief in the crowded subway environment. Consumers can use their decision making power to make a purchase and thus gain back a sense of control over their environment. The survey data supports this theory. This study can and will have a huge impact on mobile advertising. Let’s do the math: on average, people living in big cities commute 96 minutes every single weekday and global mobile ad spending is projected to reach $167 billion by 2018. 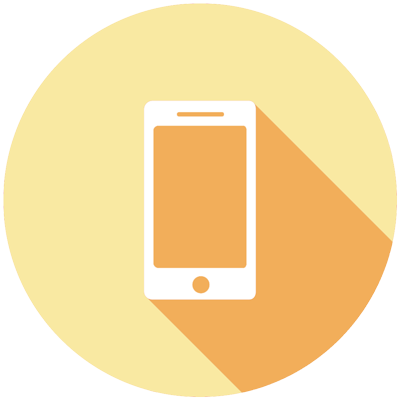 Crowdedness provides a window of opportunity for marketers to effectively target their mobile audience. As the effect of physical crowdedness only kicks in after people can no longer move around to preserve their personal space, the rush hour in public transport provides a unique marketing environment if they target their mobile ads at the right time to the right location. New mobile technologies such as iBeacons open up a whole new world for marketers. In The Netherlands infrared sensors inside trains are used to send mobile alerts to boarding passengers about the train’s occupancy to improve commuting efficiency. 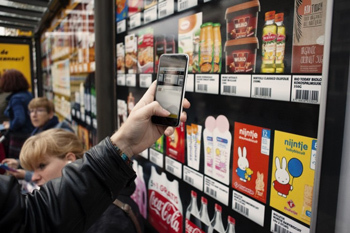 Grocery retailers in South Korea have created virtual stores in subways by superimposing product images with QR codes over the platform walls. Commuters can purchase groceries on their mobiles while waiting for their train. 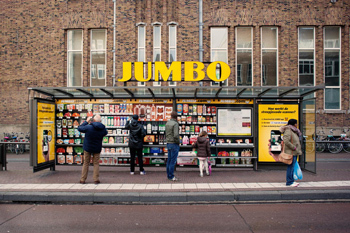 A few weeks ago the Dutch grocery chain Jumbo started a similar experiment with this technology at a bus stop. Crowdedness boosts purchase variety due to consumers’ desire to assert freedom through choice, so give them something to choose from. Crowdedness stimulates consumers to become more risk-averse and favor safety-oriented options, so use crowdedness to advertise products such as pharmacy products and familiar brands. Crowdedness leads consumers to purchase more distinctive products, as they feel threatened in their sense of uniqueness by a big group of people, so give them the option to personalize their products. The effectiveness of mobile ads depends on understanding your audience’s real-time experience, dynamic hyper-contextual environment and relevant customer needs. So do your research and make use of new insights and technologies allowing you to target mobile ads more precisely. An interesting question would be whether this effect differs for different sorts of physical crowdedness. A football stadium or a concert hall for example can also be very crowded, but people attending public diversions are probably in a positive state of mind and therefore less likely to turn inwards. Another restriction could be if friends, distracting them from their distress, accompany people in situations of physical crowdedness. 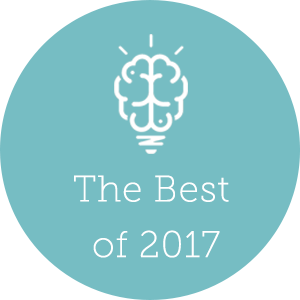 What do you think: Which other situations of physical crowdedness are relevant for using hyper-contextual targeting to boost mobile ad effectiveness? Andrews, M., Luo, X., Fang, Z., & Ghose, A. (2015). Mobile ad effectiveness: Hyper-contextual targeting with crowdedness. Marketing Science, 35(2), 218-233. Written by Friederike Niehoff on Thursday, 15 December 2016.